Italy has long been a powerhouse of architectural criticism and publications, with an intimate relationship to production. Never criticism for its own sake, the architectural publishing complex of Italy has a tradition of stance-taking, actively shaping the direction of the profession. But the glory days of Casabella and other noteworthy publications has faded, leaving a void to be filled. Luca Molinari paints a portrait of the country’s new critical landscape. Starting from these figures, we may expect to find comfort in assessing the condition of writing about architecture in Italy. However, I believe that assessing the health of architectural criticism in our country is a very tricky task, one that is undertaken with a mixed feeling of resigned dismay at having lost the way and a sense of urgent need to clearly delineate the terms and tools that we can apply in the near future. The feeling of having lost the way derives from the inevitable comparison with our recent history. Without summoning Ernesto Nathan Rogers’ Casabella-Continuità, Bruno Zevi’s Archittetura cronaca e storia, or Zodiac, and examining solely the weight that architectural criticism has had in Italy since the 1960s, the comparative analysis of the current situation looks dismal. But perhaps it would make sense to quickly reread some of the principal elements of the recent history of critical writing on architecture in Italy to get an overview that will be essential for understanding the present and attempting to change our perspective in a way that will take us beyond it. In Italy, architectural criticism has always been associated with the emergence of debate on the role and weight of modern architecture in our country, in both positive and negative terms. Criticism was never undertaken for its own sake, it was never a narrative, but rather a militant and tactical stance-taking in the ongoing debate. Gio Ponti’s articles in the Corriere della Sera from 1932 to the late ‘60s and Bruno Zevi’s weekly column in Espresso from 1955 to 2000 are merely the most emblematic examples of this attitude, which equated criticism with an active form of cultural militancy. It was an attitude that witnessed its most representative heights in ‘specialized’ magazines as early as the 1930s with Giuseppe Pagano, Raffaele Giolli, and Edoardo Persico who largely contributed with critical essays in Casabella and Domus. In this historical phase, spanning the period of the Second World War, modern architecture, its theory, the history of architecture, and architectural criticism all strongly overlapped and were employed with a militant and tactical stance to build a unitary and cohesive narrative to affirm the role of modern architectural culture in Italian society. It was not until the 1960s that alternative situations began to emerge. One case was the journalist Antonio Cederna, who used architectural criticism and narrative as a mirror to talk about how the Italian landscape was being ruined by the building boom, marking the start of a form of environmentalist journalism that would steadily gain weight in the often negative critical analysis of contemporary Italian architecture. In those same years the theoretical work of Manfredo Tafuri established a substantial semantic distinction between the Modern quest and the history of architecture, leading progressively to the post-modern breakup of the modernist ethos and to the opening of a period of specialization within the field of architecture that drained the life out of any idea of a unitary vision. The year 1974 witnessed the first issue of Lotus International, a quarterly magazine edited by Pierluigi Nicolin and one of the most innovative and highly evolved instruments of international architectural criticism, at least until the end of the 1990s. A different fate awaited the two flagships of Italian architecture after the seventies. Alessandro Mendini was the only director who succeeded in riding the wave from Casabella (1970-76) to Domus (1979-85), providing an original representation of the Radical and Post-Modern periods. But beyond Mendini’s exceptional experience, Casabella, initially under the stewardship of Tòmas Maldonado and later under Vittorio Gregotti, incarnated the keenest and most discerning reflection on modernity during the final years of the twentieth century and the legacy it has left. Gregotti’s Casabella (1982-96) in particular became a workshop of critical writing featuring a group of young journalists such as Mirko Zardini, Sebastiano Brandolini, and GeorgeTeyssot, who exercised an increasingly issue-oriented approach with an eye to the expressions of modern criticism, later acquiring the ‘heavy-hitters’ Manfredo Tafuri, Francesco Dal Co, Kenneth Frampton, Massimo Cacciari, and the circle of intellectuals who got their training in the Italo-American training camp known as Oppositions magazine. Domus took a different trajectory, presenting itself as a sort of barometer of the most international trends and fashions, changing hands in what became a rigorous three-year cadence from Mario Bellini (1986-1992) to Vittorio Magnago Lampugnani (1992-1996), Francois Burkhardt (1996-2000), Deyan Sudjic (2000-2004), Stefano Boeri (2004-2007), and Flavio Albanese (2007-2010). Domus was a more broadly encompassing publication, spanning architecture, design, art, and fashion in a reinterpretation of the Ponti legacy. The early 1990s also marked the beginning of Italo Lupi’s editorship of Abitare. In the fifteen years under his guidance, the magazine became an interesting critical workshop encompassing built architecture, graphics, interior design, and design, representing a sort of ‘third way’ between the two dominant magazines. The end of the century marked the closure of three culturally antagonistic magazines that had been the purveyors of heretical thinking on modern culture: Bruno Zevi’s Achitettura cronaca e storia, Paolo Portoghesi’s Parametro, and Giancarlo De Carlo’s Spazio e Società. At the same time, new publications were being born, such as Area and The Plan, conceived as supporting tools for professionals with a more agnostic, neutral stance regarding the architectural works they addressed. In this phase, the most innovative and open critical debate progressively shifted onto the web, representing mainly a new generation of architects and recent graduates who do not feel that the traditional publications neither represent nor listen to them. Arch.it, created by Marco Brizzi in 1998, was the first online Italian architectural magazine in which critical interpretation of architecture and its culture framework acquired notable relevance thanks especially to an overarching reflection on the impact of digital technology on national architectural culture. On the network, as well as via the critical action of a series of new players such as Pippo Ciorra, Stefano Boeri, Cino Zucchi and Mirko Zardini, it was finally possible to get beyond the almost theological, provincial debate between modernism and post-modernism, which had paralyzed the Italian scene in the 1980s and ‘90s, segregating the impact of digital technology and deconstructivism in an apparently more generational and clandestine forum. Between the mid-1990s and the beginning of the new century, a bona fide generational clash took place that called into question the rallying cries, tools, modes of action, and visions of the role of architecture in Italy. On the one hand, we had the generation of the post-WWII ‘masters’ and their academic catechumens, still engaged in the issue of a reform of modernism that seemed to be making little progress, and on the other, a combined generational and cultural composite that brought together enthusiasm for the digital with the need for active, direct, and political engagement implying various new roles and responsibilities for architecture. These were years of very intense critical participation and speculation. The digital front based its operations on the experience of Arch.it and the three issues of the print magazine 2 a + p, also drawing on the theoretical and design work of certain Roman groups such as Ian+ and MaO. In parallel, and with many areas of overlap, the neo-situationist phalanx was carried forward via the actions of Stalker, Cliostraat and A12, as well as those of the collective Multiplicity, led by Stefano Boeri, which would become, over the years, one of the fundamental elements of architectural criticism in Italy, partly due to Boeri’s increasingly relevant political and editorial role. In both cases, we see a significant recovery among the protagonists and idioms of the Italian Radical movement, which began with the big show at the 1996 Venice Biennale and continues to this day with various nuances. It owes its success precisely to an attitude of social and political criticism and to a return to the stylistic and linguistic paradox that had characterized the works of that historical phase. And while this architectural phase in Italy develops new tools for critical reflection, its ‘noble fathers’ – such as Giancarlo De Carlo, Aldo Rossi, Franco Purini, Alessandro Mendini and Andrea Branzi – undergo reassessment, and fragments of our recent history are rewritten. The panorama of critical thinking and writing in this past decade appears to be increasingly fragmented into many different expressions that are often kindred, but incapable of closing ranks into innovative systems of design that are capable of shaking up a national and European cultural arena that is increasingly fragile and disoriented. We are clearly living through a phase of transition and deep metamorphosis that is reflected both in designs and in criticism, presenting to our eyes a picture that is rather confused and difficult to interpret. A social and symbolic identity crisis of architecture in Italian society lurks in the background. Architecture is not perceived as an instrument that is capable of building or transforming reality in accordance with significant perspectives and visions that have strong civil content. And it is partly for this reason that the traditional and rigidly discipline-oriented aesthetic categories fail us in this historical phase. In addition to this, criticism has progressively decayed into a sort of descriptive journalism that is incapable of shouldering the responsibility for comprehensive and provocative interpretations that could generate new phenomena of aggregation and production of ideas and strategies. The collapse of criticism into the individual, personal stories of notable architects and their works, seen as objects detached and exempted from reality, has robbed of its vitality the contribution requested of architectural critics. After the period of the avant-garde movements and their battles, criticism has fallen into an individualistic and solipsistic dimension that has weakened its gaze and political effectiveness. The fragility of its role is also demonstrated by the progressive reduction of space set aside for pure critical writings in the various publications, as well as by the near total absence of university courses in this discipline. We are nevertheless able to identify a number of strategies and experiences that appear to have interesting prospects in a phase where the relationship between the digital realm and work on paper still remains largely unresolved, and the widespread crisis in the world of publishing does not appear conducive to stimulating courageous and experimental ventures. One of the most relevant and pervasive experiences is represented by Stefano Boeri’s role on the national architectural scene, beginning with the agency Multiplicity and then with his editorship of Domus (2004-2007), before moving on to Abitare (2007-2011). Boeri changed the way of looking at, interpreting, and using architecture in both these magazines, seeing it more as a political, social, and cultural phenomenon than as a formalistic expression. His choice of using visual materials ‘stained’ with reality and the involvement of authors not directly associated with the world of architecture represented an effort to generate an issue-oriented and comprehensive interpretation of architecture as a reagent immersed in a world that is undergoing radical change. And Boeri’s choice of entering the political arena in 2011 was only the most fitting step along a route marked by a strong and well-defined political strategy regarding a reality where architecture regains a dignity and civic role. In this light we may also interpret the most recent direction taken by Domus under the stewardship of Joseph Grima. Starting from this specific cultural expression, he has sought to broaden his gaze on the international level and further develop the use of the social networks and the website domusweb as tools whose use is to be explored with greater conviction and openness, especially to the newest generations of writers and designers. The latest direction taken by Abitare, with the couple Mario Piazza and Giovanna Borasi at the helm, starts from the same experience but exhibits the urgency of embracing an even more radical and obsessive critical and cognitive approach. After the experience of Giovanna Borasi as curator at the Canadian Centre for Architecture (CCA) with Mirko Zardini, she continued in Abitare a sophisticated process of imperfect mapping of the contemporary world on paper, focusing each issue on a keyword that serves as a kernel for interpreting much more complex phenomena. Recently we have consistent, un-official rumors that Abitare will be closed and merged with Casa Amica, a magazine specialized in interior design. A parallel destiny attended Domus. Grima has been recently let go and Nicola Di Battista, a sixty year-old pupil of Giorgio Grassi, has been appointed, showing a significant shift of cultural positioning. 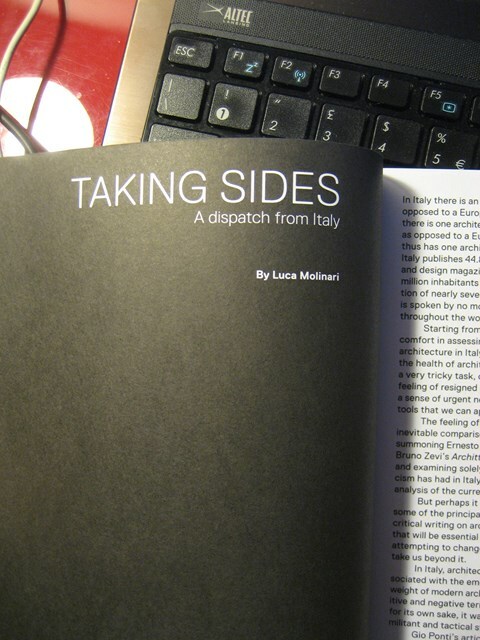 Another meaningful experience – one in which I have been directly involved – regards the Italy Pavilion that I directed at the 2010 Architecture Biennale, where the term ‘AILATI’ (at the sides) indicated the need for a ‘side’ and original look at and critical orientation toward the international situation. It was not a call for an identity-generating local focus, but a demand for the production of novel, civic, and especially universal cultural and architectural content that could help re-launch the difficult situation of architecture in Italy. Moving away from a more institutional dimension, the variegated Italian architectural panorama has given form to other expressions that I believe currently represent quite well the need to explore different and very interesting critical horizons. I am talking about three publications that debuted in 2010-2011, telling three very different but equally representative stories of a world that is undergoing deep change. San Rocco was first published in September 2010 by a collective of authors including Salottobuono, Baukhu, 2a+p, office kgdvs, and Giovanna Silva, who are bound together both generationally and by their desire to regard architecture as an exquisitely interior and discipline-related experience. 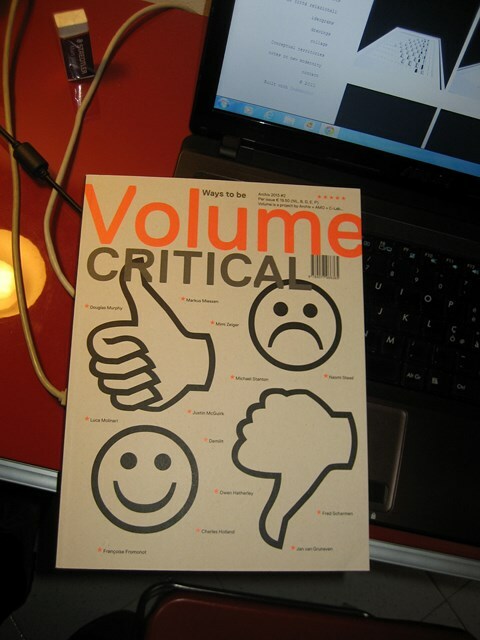 Each issue is characterized by total aesthetic control. It is published in English with content collected through calls-for-papers focusing on key content. The number of issues was set at twenty, and funding is through subscriptions and online sales. The magazine’s critical and visual rigor is a means for expressing the need for a reform of architecture and a return to its ‘purity’ through a free yet cultivated reinterpretation, even in conspicuously traditionalist modes, which are thus provocatory in the face of an academic and editorial system that seems to have forgotten the substance of architecture. In these quarterly volumes we read of an extraordinary love for the quest for quality in design and of the ability to project novel critical thinking onto every expression. The last of the trio is Dromos, created and edited by Cherubino Gambardella, who undertakes, from his office in Naples, to reinterpret contemporary architecture in an original way through a massive collective effort of authors who are called upon to provide critical and visual content. In this case as well, the magazine has a monothematic style and the editorial approach concerns the idea of producing a periodical publication on architecture rather than a traditional magazine. All three of these expressions teach us that the crisis of sales and writings has to be addressed via a substantial reform of the tools and modes of putting content online to make it more horizontal and open. All these stories of ideas and novel critical content use the network in an innovative way. They overlie the ferment of bloggers and social networks that have a more fleeting lifecycle and are less capable of having an effect on this interesting moment in time. 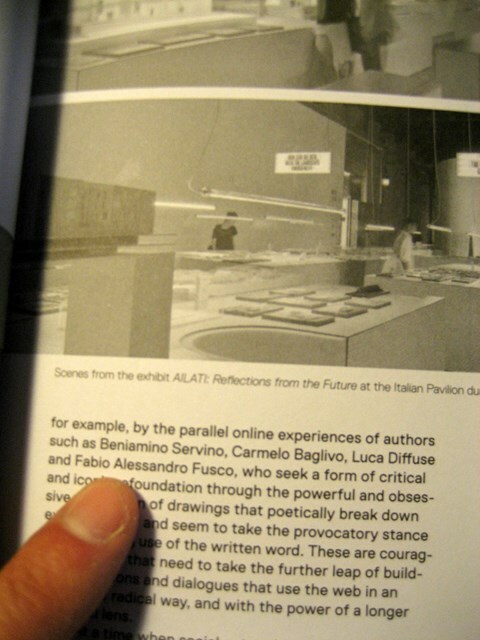 This is shown, for example, by the parallel online experiences of authors such as Beniamino Servino, Carmelo Baglivo, Luca Diffuse and Fabio Alessandro Fusco, who seek a form of critical and iconic refoundation through the powerful and obsessive production of drawings that poetically break down existing reality and seem to take the provocatory stance of abandoning use of the written word. These are courageous actions that need to take the further leap of building discussions and dialogues that use the web in an even more radical way, and with the power of a longer historical lens. At a time when social networks (Instagram and Facebook first and foremost) seem to suffocate the most interesting expressions of Italian bloggers, favoring surfing over diving into the depths, provocations over excavations, we must ask ourselves what space there will be for Italian criticism in the near future and what horizons it must seek to be significant and necessary. I believe that the ability to express judgments and perspectives with cool resolve, the courage to stand up publicly for a particular position, and the capacity of criticism to return to a political stance both in reality and in the discipline are the elements from which to set forth and on which to build an effective way of contributing to the profound metamorphosis in which we are now immersed. Mark Fabrizia Ippolito, ‘Rumore di Fondo’, in, (edited by Luca Molinari), Ailati. Riflessi dal futuro. Italian Pavillion. 12 Biennale Architecture Venice, Skira publ., Milan, 2010, pp.178-183.